Small business owners face a wide variety of challenges, often including insufficient staff, client dependence, and balancing a desire to create quality products with the need to increase quantity of sales, just for example. In truth, most of the biggest challenges small businesses commonly come up against revolve around one central theme: the bottom line. Many small businesses are struggling to grow on shoestring budgets, and their lack of capital makes for some tough decisions when it comes to allocating limited funds. Unfortunately, one area that small businesses tend to neglect is technical support. This is ill-advised, considering how much the average modern business relies on computer systems and networks to conduct day-to-day operations. Even with an IT consultant or a dedicated network administrator on staff, it’s very likely that your company will eventually suffer attack or data breach by hackers. Without these trained professionals on your side, that day is likely to come a lot sooner and inflict a lot more damage. So if you’re relying on the tech support from your local computer store or worse, the most qualified non-professional on your staff, it’s time to re-assess your strategy and protect your company’s (and clients’) best interests. 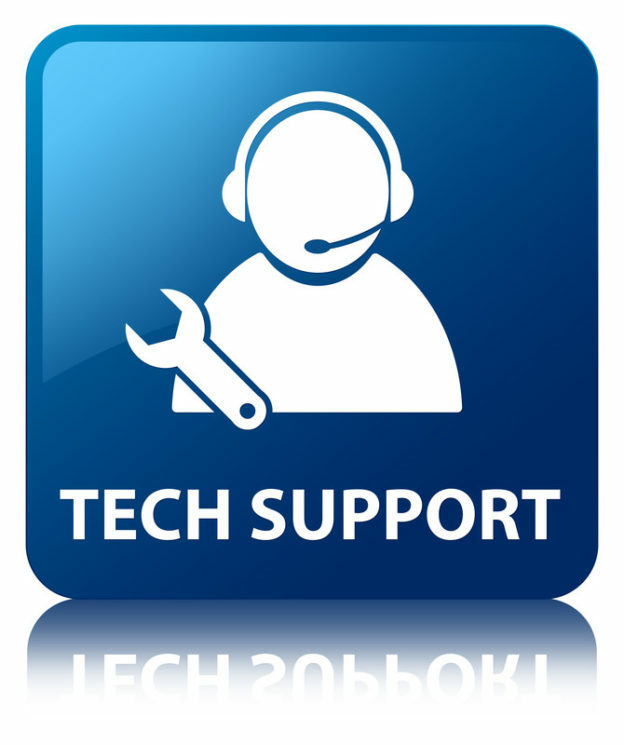 Tech support is essential for small businesses for a number of reasons. Whether you need new hardware or data processing software, computer security, or network management options, your tech support staff or reputable consulting firms can help you to find the solutions that make the most sense for your operation, balancing your needs and your budget. This is important for a couple of reasons. First and foremost, the average small business owner probably has little notion of what hardware and software options are available, much less which options are suitable for their needs. An IT specialist can help to put the right pieces in place, ensuring efficiency and protection for operations. In addition, proper tech support services can manage and add to existing infrastructure as needed, keeping hardware and software updated and implementing upgrades as needed. Having the right technology in place is paramount for stability and growth in the modern business world. It’s not enough to have a professional install your infrastructure; you also need an expert to maintain your systems. While business owners or their employees can certainly take responsibility for updating firmware and hardware regularly (or updates may be automated), as well upgrading when necessary, it’s really better to have an educated professional managing and maintaining your computer networks. Having the right structure in place can go a long way toward ensuring efficiency and security where computer and network operations are concerned. However, you can’t forget the potential element of human error. This is where monitoring services and specialists come into play. Whether you’re worried about employees using resources inappropriately or you want to be vigilant where possible data breaches are concerned, proper monitoring by a technical support staff is an important element of protection. You want to trust your staff to make and manage passwords appropriately. You also want them to behave in the company’s best interest when utilizing technological resources. You even have policies in place to this effect. With proper technical support on hand you have the opportunity to keep your staff educated as to how to behave when it comes to computer and network systems. Hackers are always hatching new schemes to trick employees into letting them in. A tech support specialist or consultant can stay on top of trending hacks and keep your staff informed. These days, this is the number one reason to have tech support. It’s not a question of if, but when hackers will target your business. Without tech support, your small business is a lot more vulnerable to breaches, along with the data loss, legal trouble, and damages to reputation that can result. It is true that you’ll have to pay for tech support, whether you hire professionals in-house or work with outside consultants or firms. However, you’ll gain a lot of benefits in the process, one of which is addressing waste and maximizing efficiency and profit. In truth, you’re going to end up paying someone for tech support eventually. You can either pay a little more for dedicated staff or contract with professionals. Either way, you’ll get support services that are familiar with your operation in your hour of need. When computers go down or a hacker infiltrates your system, you’ll be glad you have reliable tech support specialists on your side to address the issue, minimize damage, and get you back up and running post haste.